Everyone needs safe, clean spaces to live and work in. However, don’t always think about the systems that make it possible for us to live and work in comfort. In the walls and under the floors of our homes and our offices, and in the Earth under our lawns and streets, lie the extensive plumbing, sewer, septic, and related systems that provide us with clear water and clear out wastewater from our space. While not glamorous, these complex and related systems remain vital to our daily comfort, productivity, and health. If you’re a home or business owner, ignoring the power of plumbing is not an option. You must take proactive initiative about caring for and repairing your plumbing system. You won’t last long without water, of course, so human settlements have long dealt with the problem of delivering water to living spaces. In the modern world, most of us get water from municipal water supplies. Reservoirs and other water stores purify and pipe water beneath the earth to our homes. Once in your home, the fresh water flows to your sinks, dishwasher, washing machine, and other fixtures and appliances by your plumbing system. This freshwater system is just one of two subsystems in your home’s plumbing system, however. Another, separate system handles getting wastewater out of your home. When water goes down the drain or flushes down your toilet, this second subsystem whisks it away to a septic tank or to the sewers outside of your home. None of this is quite as simple as it sounds, of course. Piping and plumbing systems can take advantage of gravity to send water down–it’s no real mystery how dirty water leaves a fifth-floor apartment–but when the water must go up, things must get clever. Plumbing uses pumps and takes advantage of water pressure, gravity, and the fact that water seeks its own level to create an efficient system that, to the uninitiated, might almost seem to defy gravity. Taken all together, a plumbing system and a municipal water and sewer system are quite complicated, but also essential. It’s hard to understate the important of caring for your plumbing system. It’s obvious that we need fresh water to live, and that going without it in our homes is an inconvenience that verges on unsafe. However, many more ways exist for a plumbing system to act up and ruin your property and your daily life. When things go wrong with pressure and pipes, you can end up dealing with burst pipes, sewage backflow that floods your space with filthy wastewater, and other devastating issues. However, caring for your plumbing isn’t too tough. You just need to count on an expert. The most important thing you can do for your plumbing system as a home or business owner is to set up regular maintenance visits from a trusted plumber. You should also call a plumber the moment you see any potential problem or think anything needs repairs. Regular maintenance and speedy repairs will almost always end better than postponing work. Sure, it can be unpleasant to pay for plumbing repairs–but make no mistake, you’ll pay more overall if you don’t. The sewer repair cost may become dwarfed by the cost of the same fix later on, when the problem has had a chance to worsen–and, in the meantime, you’re risking financial losses on your valuable property. The cost of deferred maintenance is high indeed. When our plumbing systems work well, we can almost forget them. However, to maintain our quiet and comfortable spaces, we count on quite a powerful and complex system. 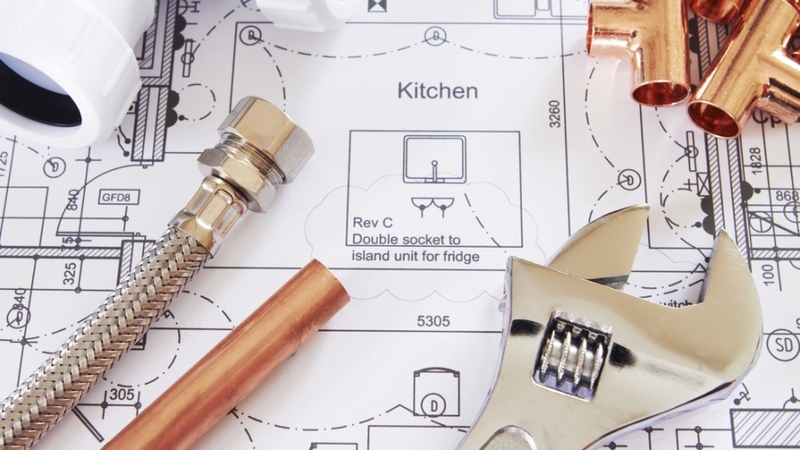 Maintaining a quality plumbing system is key to your home or business’ comfort and function.